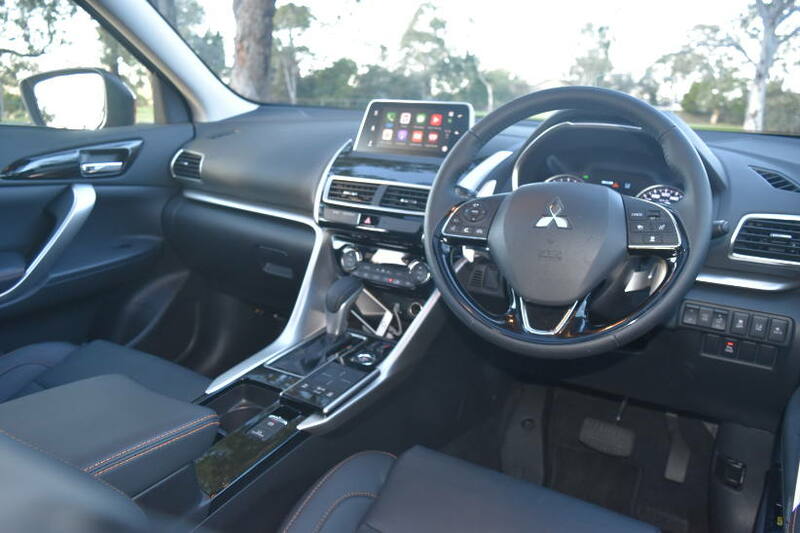 Bigger than an ASX, smaller than an Outlander, able to clear city speed bumps with ease. Is it a small SUV, a mid-size SUV? No it’s the new Eclipse Cross and it fits in between Mitsubishi’s other two small/mid-sized SUV’s and is better than both. 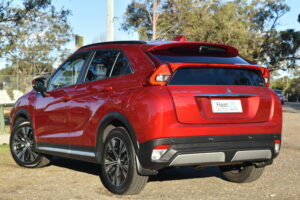 Eclipse Cross, Mitsubishi’s newest small/mid-sized SUV is one very capable and pleasing car. Its attractive fresh design with subtle chrome touches, gives it a muscular profile and stronger road presence than its siblings and competitors. 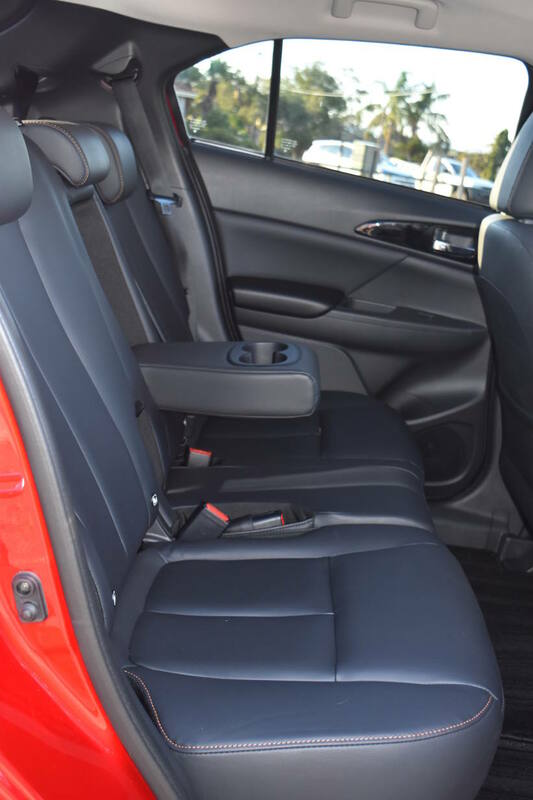 With interior styling that is practical, pleasing and comfortable. 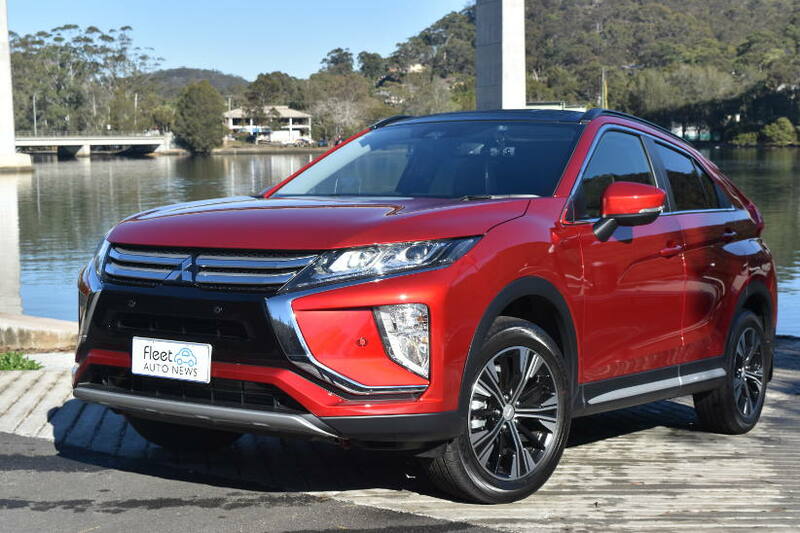 Powering Eclipse Cross is a 1.5 litre 110kW, 250Nm turbo engine, which provides spritely performance for a car in this class and is quite pleasurable to drive. Surprisingly, it only requires regular unleaded fuel, which will help with fuel costs and returns fuel economy at 7.7lt/100km. The eight speed CVT transmission (complete with paddle shifters, ‘Eco’ and ‘Sports’ modes) is very smooth and in many respects feels more like a traditional auto transmission than a CVT. S-AWC (Super All Wheel Control) ensures optimal torque is supplied at all times to each wheel, providing enhanced vehicle dynamics, stability and control for all road conditions. Though, resist the temptation to engage ‘Eco’ mode, which whilst helping fuel economy, suppresses engine responsiveness so much, it feels as though you have been confined to a lifetime of Driving Miss Daisy! 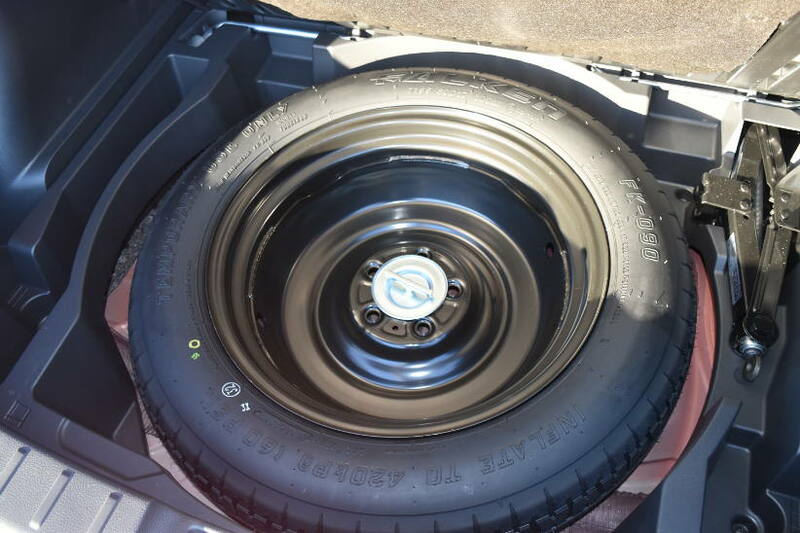 Eclipse Cross drives very well, riding on 225/55R18 Toyo tyres, it is comfortable, highly manoeuvrable and just the ticket for zipping about town or heading down the highway. It is quite luxurious and wants for nothing in its appointments. Leather seats (heated in the front and eight way power adjustment for the driver), dual zone climate control, panoramic sun roofs and fantastic cabin illumination at night – even the cup holders are illuminated, so no excuse for spilling your coffee. Apple Car Play/Android Auto feature and a seven inch touchscreen controls all infotainment functions. 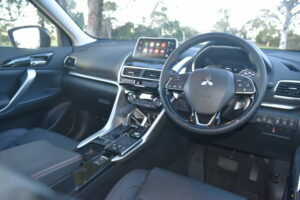 A touchpad controller is provided on the centre console next to the transmission shifter to allow operation of the infotainment system without the driver having to reach for the touchscreen whilst driving. A worthy idea, but I found it to be distracting and a little difficult to operate easily, taking my eyes away for the road too often to confirm selection choices when using it. Bluetooth connectivity with voice control is provided, but it’s just easier to use Apple Car Play. Which is a good thing to have, as Sat Nav is not featured, expecting that most customers have an Android or iPhone with maps already loaded on it. 12V outlets are provided front and rear, two USB outlets in the front. Interior room is good, with ample head, leg and shoulder room for all passengers. Rear seats passengers should ‘watch your head’ getting in, as the sloping roof line means you have to ‘duck under’ to get in. 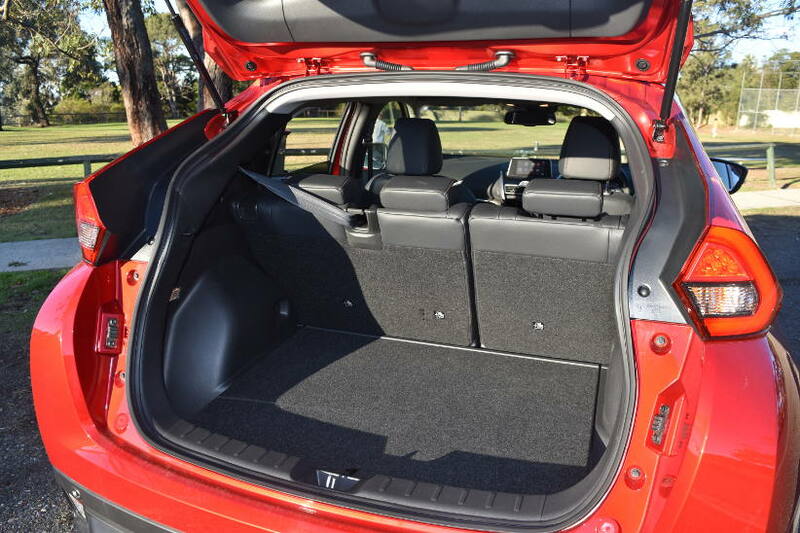 Rear seats also recline, plus slide forward to provide extra boot space if required. Luggage space is sizeable (341lt seats up and back/448lt seats up and forward/1122lt seats down) with enough room for all that you need to carry, even the kids bikes. Not a small SUV. Not a medium SUV. Just right. How much do summer driving holidays impact your fleet fuel budget?